Tracy: Iain, let me first say that I'm a huge fan of your writing. You show and incredible depth of character, atmospheric settings and gripping, haunting plots. You've recently released HOLES IN THE GROUND with Joe, which is doing very well. Congrats! But your next novel is a departure from the horror genre. Iain: Thank you, Tracy. The last few years have been great fun and I just wish I could write fast enough to get out all of my ideas. I’ve chosen to write a thriller for my next novel as I want to challenge myself to write outside of my comfort zone. 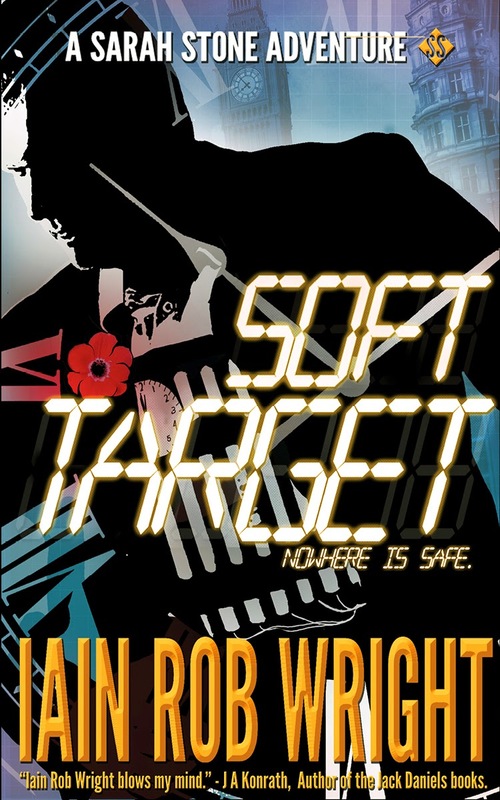 Tracy: Can you tell us about SOFT TARGET? Iain: Well two shows I love are 24 and House MD. My main character, Sarah Stone, is a bit like a female cross between Jack Bauer and Dr House. She is badly scarred both physically and emotionally, which puts a huge chip on her shoulder. The plot concerns an agency called the Major Crime Unit (MCU) and their quest to stop a terrorist plot that emanates from Sarah’s past. The book takes place after a successful attack on the UK, so it’s all about trying to stop an already dire situation from getting worse. Sarah teamed up with Konrath's hero Jack Daniels in our short STRAIGHT UP. Tracy: Many writers describe how often times characters start talking to them. How did Sarah Stone materialize for you? Iain: I like writing female characters. I find that female heroes are even stronger than males, because they have to fight against their own negative stereotypes. It’s much easier for a female character to surprise you as society still binds women with more rules than it does men. As I wrote the character of Sarah, I began to feel her pain and fought her battles with her. She is definitely the most well-defined person I have ever created. Tracy: What made you decide to write an action adventure? Iain: I love horror, but I also love thrillers like 24, Revenge, Prison Break, as well as book series like Jack Reacher, Repairman Jack, and the Pendergast novels (although BOO! Douglas Preston). When I love something I want to write about it, and so I have many thriller plots bouncing around my skull as well as horror ones. Tracy: Do you see yourself combining elements of horror within the action adventure genre or is this breaking new ground for you? Iain: I think I might eventually settle on a cross between horror and thrillers, a bit like the X Files did on television. I think F Paul Wilson does this really well with the Repairman Jack novels. He can take his Jack character into stories both mundane and supernatural. I want to try and find that freedom with a character of my own. Tracy: What is next for Iain Rob Wright? Iain: After my first Sarah Stone novel, I will be writing the first book in an epic trilogy, called THE GATES. In a nutshell it is about humanity’s fight for survival after the gates to Hell literally open up all over the earth. Tracy: Is that a spin-off of HOLES IN THE GROUND? Iain: No, I have completed my existing canon. Going forward I will be writing within a new universe for all of my books. No more sequels to my existing work. I feel I have moved on from my earlier work and am ready to evolve. Tracy: There is an independent movie in the works for your first novel, THE FINAL WINTER. Can you tell us about this project? For anyone who would like to see THE FINAL WINTER in production, here is the link to sponsor! Fantastic, wonderful project! Iain: It would be great if it happened. The chap involved with it asked my permission some time ago if he could write a screenplay for THE FINAL WINTER. I was happy to accept. Although the movie is based on my work, I am not closely involved with the project. If not for my own commitments and just having had my first baby, I might have tried to contribute a little more; alas I am only one man, and sometimes I have to sleep. All I would say is that the screenplay was written by someone who genuinely loved the book. 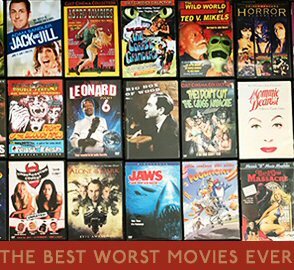 I think that when movies are made by directors who truly appreciate the source material, you get gems like The Shawshank Redemption and Jurassic Park. Give the guy your support and I have no doubt he will make a movie everyone will love. Tracy: What marketing tips do you have for writers. What has worked for you? Iain: You should do everything you can to be 1) professional and 2) approachable. Set up a decent website, make sure all of your books have great covers, and use social media to get yourself out there (especially to begin with). Use these tools to make sure people can get in touch with you. If someone emails you or reaches out on Facebook, and you respond kindly, you can be sure that that fan will go out and get more people to read your books. Your fans matter, so make sure you show them that. That’s marketing 101 as far as I’m concerned. It’s not enough to want to succeed, you need to make other people want to see you succeed. Tracy: You've written a lot in a short amount of time. How do you stay so prolific? Iain: I write fulltime, Monday to Friday. Treating writing like a job is the best way for me to stay motivated and consistent. My minimum word count is 3k a day (it used to be 2K), but I will write as much as I can and will often hit around 5k. It’s a bit of a catch 22, as the best way to go fulltime is to write lots of books, but it’s hard to write lots of books when you’re not fulltime. I’m lucky that I went fulltime after just one book, THE FINAL WINTER. Hitting the market so fast and so hard has definitely helped me and it’s one of the few advantages I had over other upcoming writers. Tracy: Would you ever take a legacy deal? If so, under what terms? Iain: Yes, of course. I’m human and I have a family, so I can be persuaded. But thanks to guys like Joe Konrath and Hugh Howey, it would have to be a fair deal that was in my own best interests. I earn a good living so I am in no way inclined to take a deal that doesn’t benefit me in both the short and longterm. There is nothing long with a legacy deal if it is attractive and fair. The problem with the legacy industry is that deals like this are few and far between. I have turned down several deals in the past, and have just laughed and said to myself ‘Yeah, they wish!’ I feel like I can benefit them more than they can benefit me, yet every approach so far has been the reverse of that. They come in acting like they are prepared to do me a favour. No thanks. Tracy: Any advice for newbie authors? Iain: Just keep going. If you quit every time it gets hard or looks like it’s not going to happen, then you’re done. The only thing you can do to stack the odds in your favour is to keep writing and releasing books. Everything else is out of your control. Tracy: What's the best piece of writing advice you've ever heard or gotten? Tracy: Thanks so much for taking the time to talk to us here on Joe's blog, Iain! Congratulations to you and your lovely wife, Sally, on your beautiful new son! 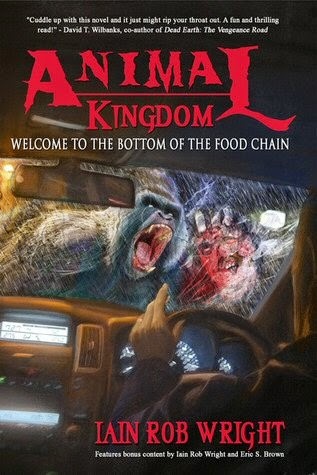 Iain’s book ANIMAL KINGDOM is currently free for Kindle. Iain: Thank you so much. It’s the happiest I’ve ever been and I owe so much of it to my fans. It’s nice getting the opportunity to share the platform with a respected peer. When conducting a search for your books, the first thing that strikes me about your work is how professional they look. Your covers are great and they really set you apart. Who does them for you? Tracy: Thanks, Iain. The incredible Carl Graves did the covers for the first three Leah Ryan books, as well as for the novella collaboration with Joe, JACKED UP, which featured Leah and Jack Daniels. RED SURF was done by Cheryl from CCR Covers, who stayed with the same look and feel of Carl's covers. Carl is very high in demand. He's an amazing designer. Iain: You seem pretty committed to your Leah Ryan character. Can you tell me a bit about her, and why you enjoy working with Leah so much? Tracy: Leah is a reformed car thief, turned repossession agent, turned private investigator. She's a thrill-seeker with a social conscience, who can't stand bullies. Leah is flawed. She has serious impulse control, and is just emotionally damaged enough to put herself into some pretty precarious situations in order to help others. She has a rescue complex that puts her life in danger. That is why she's so much fun to write. She surprises me at every turn. Iain: What can fans expect from Leah going forward? Does she have a long term future, will she stay the same as a person? Tracy: Leah is changing a little with each book. She's growing up a little, but still struggles with relationships. I'm not sure what will happen in her future. I prefer it that way, because I like to be surprised. Iain: So, if Leah Ryan took a vacation, what others characters would come to the forefront? Do you have anything completely new you are working or planning on? Tracy: Well, Leah is on a vacation in the current release, RED SURF. Leah is a loner, with the exception of her best friend and partner Jackson. She heads to Maine alone on vacation to get some R and R, but it doesn't turn out that way. Her first day there she nearly swims into the floating body of a dead girl, and of course, ends up in a murder investigation. I'm actually working on a straight horror novel right now that is enormous fun. It's a psycho thriller called JITTERS, which features a couple of very twisted and frightening brothers who love to use venomous creepy crawlies as their murder weapons of choice. It's a blast to write. Iain: So, in addition to Joe Konrath, who are the guys and gals you really love in the industry right now? Tracy: I really love Toby Neal, Theresa Ragen, Blake Crouch, a fantastic horror writer named Iain Rob Wright, you may know him, Kealan Patrick Burke, Alexandra Sokoloff, and Ann Voss Peterson, who currently has a new release, BURNED TOO HOT. There so many, though. So much talent out there. It's a fantastic time for writers and readers. Very exciting. Iain: What is your plan as a writer for the next five years. Do you have a master plan, or are you just taking things book by book? Tracy: I have no master plan. I just take it book by book. I love not knowing what will happen in the future. Anything can happen. Iain: Any message you would like to put forward to your fans? What would be the best way for a newbie to get a taste of your work? Tracy: All my books are currently enrolled with KDP select, so they are only available for kindle. I'd start with JACKED UP, the collaboration with Joe. 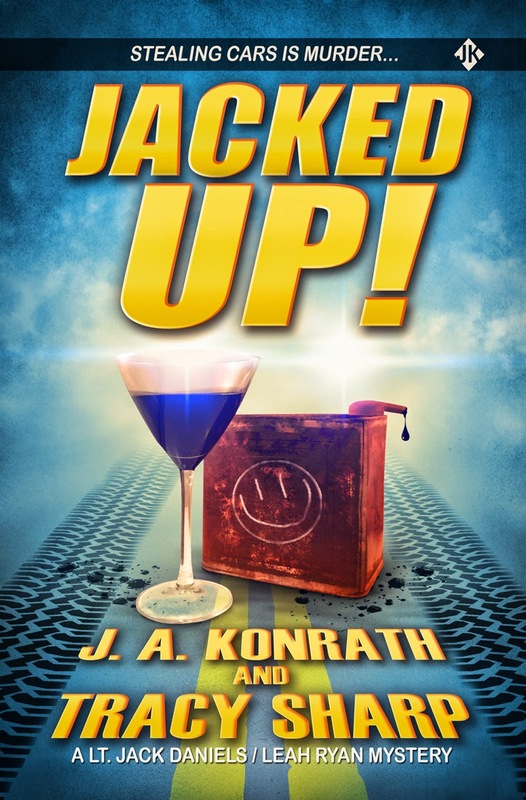 JACKED UP gives a taste of Leah Ryan without being too long, and it's a thrilling and funny little short novel and a great introduction to Leah. 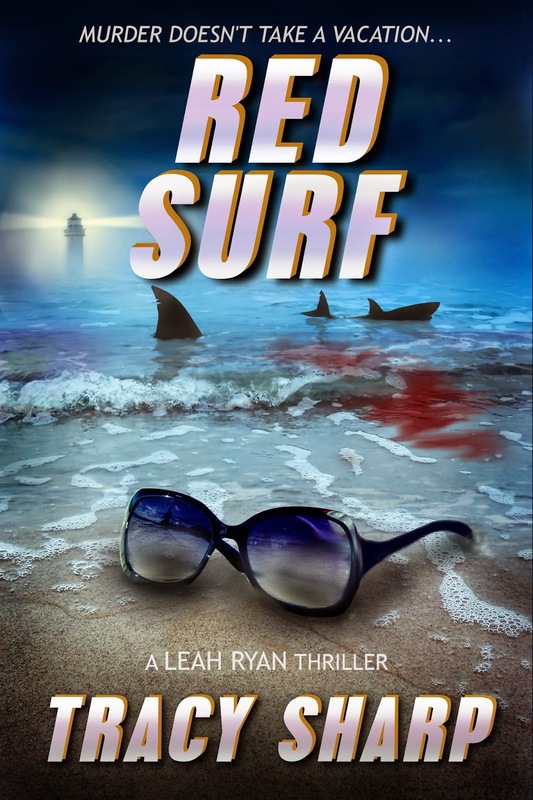 The new release, RED SURF is currently on for an introductory price of .99 cents. Tracy: Make sure your covers are professionally done, your books is professionally edited and formatted, and present yourself in a professional matter. Steer clear of spamming people’s pages. Don’t beg. Be gracious. Be professional. There is such a thing as telling too much personal information. Giving books away for free has helped me a lot, combined with using Ebook Booster Link: http://www.ebookbooster.com/. Also, using the submission tool at Author’s Marketing Club: http://authormarketingclub.com/members/submit-your-book/ helps. Especially if you don’t have the extra cash to throw around. The first promo I did for REPO CHICK BLUES, I only used the Author’s Marketing Club’s submission tool and had 13,000 downloads. Repo made it to the top of the top 4 of 100 free bestsellers list that weekend. Iain: Did you see a boost in sales as a result? Tracy: Yes, my Leah Ryan books started selling better. I still say that giving books away for free is one of the best forms of marketing a writer can do. It’s a great way to introduce your books. Iain: This isn't an easy profession. There is a lot about it that is discouraging. What's hardest for you? Tracy: Juggling family with the writing is challenging. When I was working and juggling family it was even harder, but I managed it by being very resourceful with arranging writing time. What is difficult is turning off the self-doubt that often plagues me. It’s a solitary business, and I spend so much time in my head that it’s hard to know if I’m doing this right most times. But there is no right no right way. You just commit to it and you do your best, and be disciplined. And read Joe’s blog! Excellent advice. Just keep trying to be a better writer. Learn what you can. Read a lot of books. Books are your nourishment as a writer. I also found Alexandra Sokoloff’s Screenwriting Tips to be very helpful. Iain: So how do you juggle writing with a job and family? Any tips for working parents to get more words written? Tracy: Either stay up late or get up early. Sleep is a luxury when you don’t have much time. Sacrifice is the name of the game. You can miss that tv show you love so much. Time with friends. Whatever it is that is sucking up your time, you need to ditch it in favor of the writing, if the writing means that much to you. How badly do you want it? Time with family is important, but you need to carve out that time to get the book done. Write when you’re sick, when you’re tired, when you just don’t feel like it. Just get it done. Also, turn off the internal editor when you write that first draft. You don’t have time to tinker, and editing while you are creating stops that stream of consciousness kind of flow you get when you just let the story come. Even if you are a plotter, and I’m both panster and plotter, turn off that editor. Edit in the second draft. Get the story down in the first. Iain: Would you ever take a legacy deal? If so, what terms would you insist on? What would be deal-makers vs. deal-breakers? Tracy: No. No legacy deals for me. I like having total control of my books far too much to ever take a legacy deal. I love controlling the content, the cover, the editing, formatting, when the book is released, pricing. Everything. And I get to change things anytime I like. Also, I like to keep my rights. Iain: What advice would you give a newbie author just starting out? Tracy: First and foremost, and I’ve told newbies this, read Joe’s blog. It’s a wonderful resource, full of information essential to any new writer. Also, commit. Just do it. No excuses. When someone starts telling me about all the things standing in the way of their writing, my eyes veil over. I know all about not having much time. Believe me. Before I left my job, I wrote in parking lots much of the time, before work. I still do, on the weekends. Even in the cold. I wrote during lunches in quieter areas of the building with employees walking by. You can do it, you just have to be serious. Iain: You've met Konrath. What's he like in person? Tracy: The physical scars will heal. But the emotional ones will never go away. Kidding! He’s funny! Very nice, very approachable. And he loves his beer! Joe sez: If you haven't already, buy all of Tracy and Iain's books. Ann's latest is also well worth picking up. So go forth and support your fellow authors.